exhibition design 'plug-in energy . (re)shaping austria' (finalist international competition) in collaboration with bauchplan ). ( (munich/vienna), raumspielkunst (stuttgart), blue minds (vienna/tel aviv) and yuji oshima (vienna/tokio). 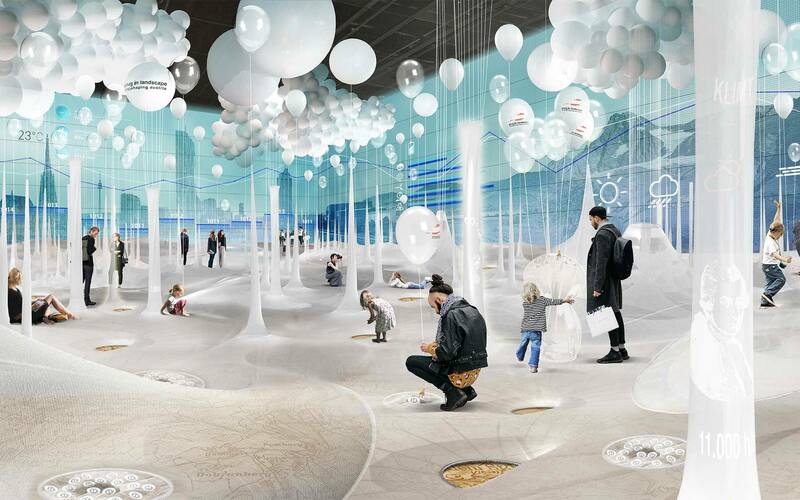 Upon entering the main exhibition hall through a turnstile, every guest fills up a balloon with helium, which will then guide them through the main exhibition space, a walkable energy landscape of Austria.